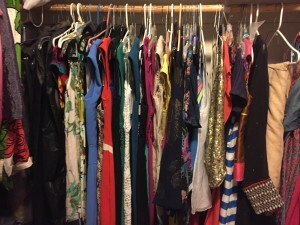 Unclutter your closet.. and earn good Karma! Holidays are approaching. Are you planning to hit the sales? Sales have a way of making us buy more than we can possibly use, and hoard it for future use… but sometimes, that stuff we bought for a special occasion never gets used and is lying on the hanger in the closet for ages. Come spring and you decide to clean your closet; and see those dresses, bags and shoes just gathering dust in the closet. What do you do with these? Leave it in the closet for another year? Give it to GoodWill? Save it for your kids/ niece? Consider using Fryppery! You can choose your price, choose your charity that you want the proceeds to go to, and you can choose to donate all 100% of the proceeds to go to the charity of your choice; or choose to give 50% to the charity. The item that was useless to you gets a new home, someone gets a good deal, and you raise money for charity and make a difference to someone’s life. Whats there to lose?